Is Your Insurance Forcing You to Switch Cancer Specialists? Fight Back! When I was diagnosed with peritoneal mesothelioma in 2010, I knew an uphill battle awaited me. I had to prepare for it, and I was ready. I was 34 at the time and didn’t have blood pressure problems, diabetes or high cholesterol. But I did have this cancer to deal with. I was in for the fight of my life, and with two young sons, I knew I’d win in the end. Although my cancer is now in remission, I fight against frightening thoughts of mortality and recurrence daily. Just when I thought I had conquered the negativity beast, I found myself up against another enemy: Insurance. Since my diagnosis four years ago, my husband’s insurance policy covered me. Although I still incurred medical bills, I never had problems seeing specialists to maintain my remission status. All that changed when his policy changed to a different provider. The problems started before I flew out to the Cancer Treatment Centers of America in Tulsa, Oklahoma. I make this trip every 90 days for my regular follow-up doctor visits, CT scans and PET scans. My flight was booked, weekend bag was packed, both of my bakeries were staffed and my parents were taking care of my children. Four days prior to departure, I received a disturbing letter from the new insurance company. The first paragraph introduced us to the company, but the second paragraph shook me to the core. It explained that I needed to change physicians immediately. My current physicians were out of network and not covered by the out-of-network benefit rate. Basically, if my current oncologists continued treatment, I would be paying 100 percent of my therapy out-of-pocket. I meet my deductible at the end of every January because of my expensive treatments and tests. If I sold my house and took my children out of private school, I still could not afford to pay for the entire cost of all of my medical expenses. Besides the rich and famous in Hollywood, I don’t know anyone who pays out-of-pocket for all of their medical care. There was no way I was going to change physicians. I’ve been batting mesothelioma since 2010. After two HIPEC procedures and too many chemotherapy concoctions to count, I was told in 2012 that there was nothing more that could be done for me. I was told to seek clinical trials and live my life to the fullest. Giving up was not an option. The representative from the new insurance company informed me that I could either cancel my appointment or pay for it myself. I told her the numerous physicians and the doctors at my cancer center were the reason I’m still alive. I was not going to jeopardize that. She said I could fill out a request a transition of care (switching from one treatment center to another) or a health care waiver. This form goes to the ‘powers that be’ and they determine whether I could continue care with my current physicians. My flight to Tulsa was in four days, and I was told it normally takes 10 business days to get a response from the insurance provider. At the time, I didn’t know how I would pay for all my tests. Frankly, I didn’t care. My well-being was all I could think about. I kept my appointment in Tulsa. After returning home from treatment, my insurance representative called to say I would be allowed one more visit to my current treatment center, but I had to find an alternate for future therapies. Again, this was not an option for me, and wouldn’t back down. I explained the rarity and complexity of mesothelioma. I offered statistics and reasons why I couldn’t leave my future in the hands of an oncologist who has never treated mesothelioma, much less peritoneal mesothelioma. I sent a detailed letter along with copies of my medical history. I also contacted my husband’s employer and explained why it was so important I keep my current doctors. Luckily, the second time around, I spoke to a caring agent who understood my plight to keep my doctors. She was my personal scribe and took thorough notes. 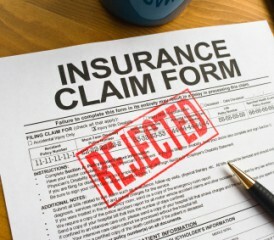 After two weeks of deliberation, I received yet another decision letter from the insurance provider. The insurance company approved covering me with the same doctor until the end of the year. So what happens in 2015? You guessed it — another fight.